Heat the oil in the pan on a medium heat, stir fry the smooth spices till fragrant for about 3 minutes or until a thick paste forms. Reduce the heat and add the soy ingredients. 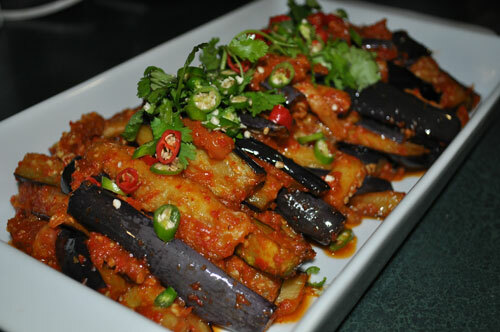 Add the eggplant and make sure they are thoroughly coated in the chilli sauce. 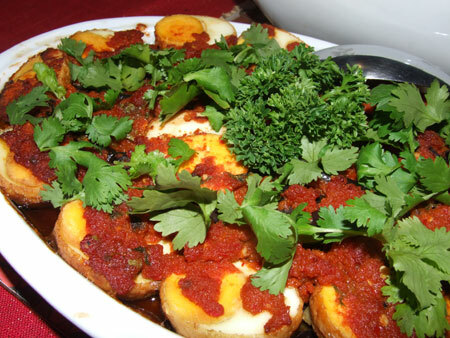 Transfer to plate and garnished with chopped coriander leaves and chopped small chillies.